WHO ARE WE? Established in 1971 NERCS is the oldest slot club in the NorthEast of England. We only ever race standard vintage & modern Scalextric type cars - the only club in the North to do so. No performance slot cars (or parts) are allowed in the club - this is to ensure an even playing field by preventing members with the deepest pockets gaining an unfair advantage. 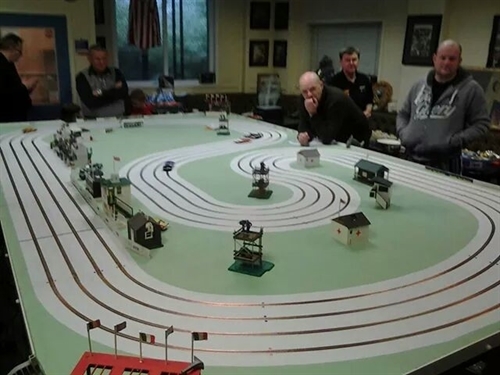 The racing is non competitive & the emphasis is on socialising & talking Scalextric. Name and Website Domain ownership The name of 'NERCS' & the website domain names of 'www.NERCSlots.com' & 'www.nercs.co.uk' are the intellectual property of N.E.R.C.S. and are unique and not available for use by any other individual or organisation.